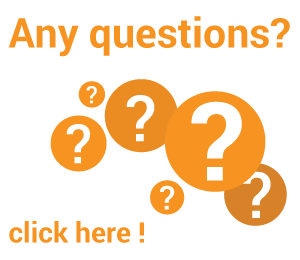 When deciding what is the best way to utilise the warehouse space that you have there are many things to consider. You maybe at various stages in the planning process but we hope to take you through the various stages. 2. Plan your building around the racking and work area don’t fill the land you have then think about equipping it. 3. Don’t underestimate the space you for load collation, goods inwards etc. a. An architect. Obviously needed but they are generally not expert in equipping a warehouse. A good consultant will have wide access and knowledge of all aspects of the warehousing operation. Will not push you down the route of the solution that makes them the most profit. Consultants are by their very nature generalists and not specialists in any particular field. It is often a criticism of consultants that they charge you a lot of money to tell you what you already know. Some consultants have preferred suppliers and are not really independent. Racking companies have a wealth of knowledge! Lets face it, their only reason to exist is to sell warehouse racking and they will see daily numerous companies facing the same issues as you do. Will generally have a large client base and have customers who perhaps have similar issues to yours. Should you subsequently place an order with them they will have a better understanding as to what you require. Although the company may have a lot of experience, the individual that represents them may not. Everyone has a vested interest! 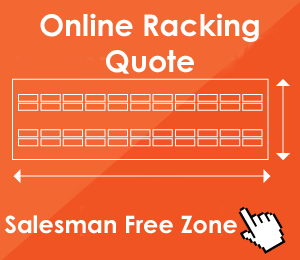 Obviously, a racking manufacturer needs to sell racking. Some manufacturers prefer certain solutions as they are perhaps more competitive on certain types of racking. Knowledge of other aspects of warehousing may be limited. 6. 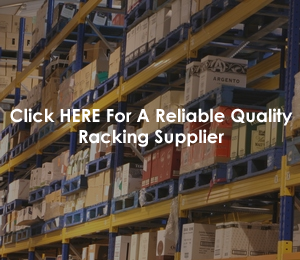 A racking distributor or what is often called a system integrator who will source the relevant elements and integrate them into your warehouse. Many are self employed with vast experience of varied products. Will not normally be tied to one manufacturers particular product. Maybe prepared to act on a “consulting” basis. Due to possible funding issues, many people in this category will work on a percentage or fixed fee consultancy basis. This can often work well as they coordinate everything but you buy direct from the relevant suppliers. May have funding issues and not be able to supply as cheaply as a manufacturer, although surprisingly this is not always the case. Will have vested interests that are not so obvious. 7. A materials handling equipment supplier. This pretty much has the same pros and cons as the racking manufacturer but vested interests are perhaps more prevalent as different truck manufacturers. More often than not you will have restrictions on the building as you will either have been presented with an architect designed warehouse or an existing building. The above points are all relevant when planning the best way to rack an existing warehouse with the exception of course of the option to build the warehouse around the racking solution. If you have chosen to employ a consultant then they will inevitably analyse the way your existing warehouse works and look at improving it. In any case, there are a number of steps to go through and when buying new equipment it is often a good time to review the way you have traditionally done business. You need to look at how goods are received, how they are picked, which products are fast moving, if the goods come in and go out as full pallet loads, which way will they be loaded and off loaded from a lorry in general you want to keep the handling of the pallet uniform throughout. You also need to consider future requirements and potential capacities. But one golden rule is DON’T SKIMP ON WORKING AREA. Stage 1 will give you a volume of pallets and pick locations that you need. Stage 2 is to look at the capacity of your building. 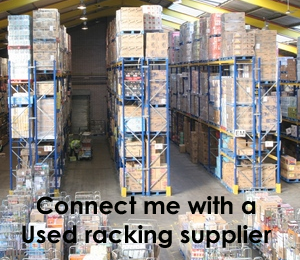 There are various racking and material handling solutions available. Each is a compromise in some way, but below are the principle options which are explained in more detail elsewhere. When considering each option it is important to consider the total long term operating costs. These not only include the initial purchase costs but the cost of the warehouse space, operator costs and maintenance costs. In theory should be cheaper as there is no middle man. The manufacturer should have the most knowledge of the products he is offering. Will often think outside the box. A manufacturer will inevitably concentrate on the products they manufacture whereas an independent distributor maybe able to utilise existing products from more than one manufacturer. The independent distributor can often offer products from more than one manufacturer. For example, one manufacturer maybe very good at drive in racking but not so competitive at standard APR. May have more clout with the manufacturer than you would on your own if things go wrong. A good independent distributor will know who to contact within the manufacturer to get things done if necessary. Used racking is being used in major projects more and more by many blue chip companies. It can be a good way to save money but be careful not to compromise the final storage solution to save a little money when the long term costs may be increased.